We serve the Denver area with all the air conditioning services you could ever need. 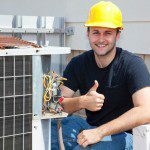 When you need air conditioning services, you need to know that the company you work with is on your side. Here at Cool Comfort Heating & Air, we put your needs first to provide an experience unlike any other you can find in the Denver, North Carolina area. One thing that puts us above the competition is our dedication to giving you one place to call for a wide variety of services. You won’t need to call an electrician to deal with the electrical part of your HVAC installation or repair. We handle it. You won’t have to call someone else to get a killer high-tech thermostat. We have them. You won’t need to call someone else for the unique Mitsubishi Mini-Splits that are the ideal solution for various situations. Yes, we have those, too. We take the time to listen to the problem you are having, so we can use our decades of experience to offer you solutions that will work. Our passion is making homes more energy-efficient and comfortable, so you can count on us to improve your home’s HVAC system through effective preventative maintenance and needed repairs, or we’ll advise you when it is time for a new system because your system is costing you more than you might realize. Regardless of the situation, you will get air conditioning services that fit your situation, your needs, and your goals. We are proud to be a part of bettering our environment through sound, realistic energy-efficient options. Call us today, and we’ll go over your options and develop a plan using the right air conditioning services to get you the comfort and energy savings you desire. At Cool Comfort Heating & Air, we provide high-quality air conditioning services in Mooresville, Huntersville, Cornelius, Lake Norman, Denver, Troutman, and Davidson, North Carolina.